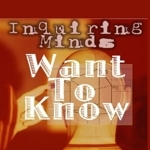 Listen as Dr. Jeff Paxton shares a message from the series, Inquiring Minds Want To Know. What Will Separate Us From The Love Of God? Who Am I That You Would Even Think Of Me? Should He Treat Our Sister Like This? Where Are All His Miracles?